Intermittent drizzle and rain greeted runners in the early hours of the morning – but the attitude was sunny all around! The rain came and went — it rained hardest during the start of the kids races and cleared up for the 5 miler. But — did you know that light cool rain is the ideal running condition? This was borne out by the number of kids course records broken today. Three of the four overall course records fell and a handful of the age group records tumbled as well. The 5 miler race records stood on Sunday – probably because they had no rain to spur them to new feats! Nearly 650 runners crossed the finish line between the three races.The combined kids races had just over 250 finishers for the day.The numbers were “dampened” a bit by the rain a bit. Our same day registration table was not quite as busy as in the past sunnier Run The Farm events. We want to thank our gracious hosts at Muscoot Farm, especially Brenda and Jonathan, and everyone who helped out at the farm to get it ready for our sixth annual event. 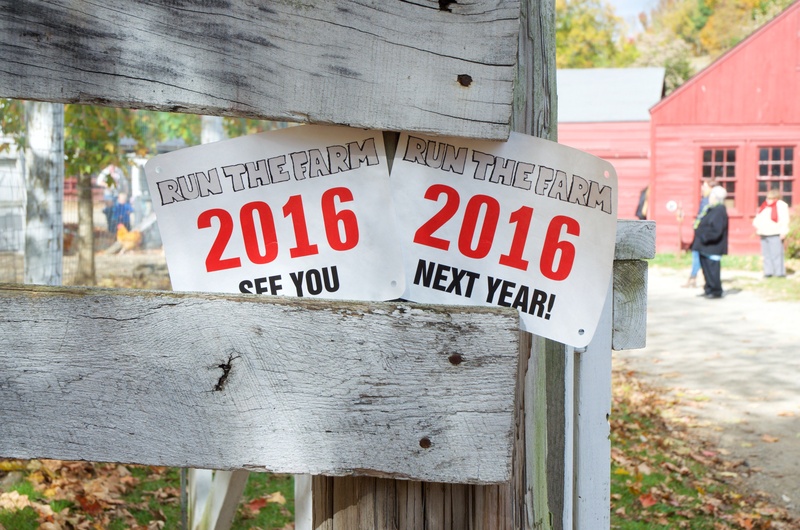 Where else can you see an authentic 1890s-era historical working farm just an hour outside of New York City? Muscoot is a gem of the Westchester County Parks system. 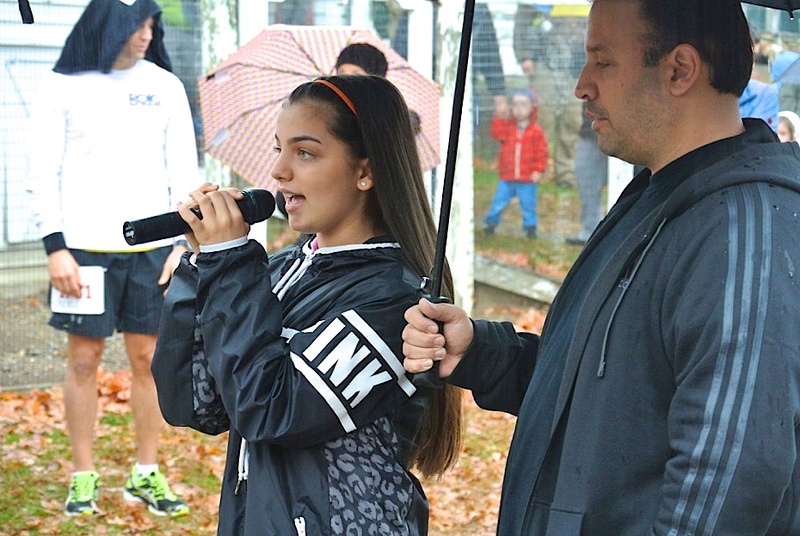 The event was kicked off in grand style by Victoria Dennis of Mt Kisco who is an accomplished singer and student at Fox Lane Middle School. Victoria has starred in Little Miss Sunshine, HBOs Boardwalk Empire, has appeared multiple times at the Apollo Theater and sung the National Anthem for the NY Liberty at Madison Square Garden. She gave us a rousing rendition of America The Beautiful at the start of the kids races. Thanks Victoria! We had a team of photographers (Ryan, Tom, Lee, Dave, Bram, Zoe, Carol, Sawyer, Patricia, John, Ciorsdan, and Rob) out there who volunteered their time for the morning! An outline with links to all of their photos is here. Cathrine Wolden Levin of Pound Ridge NY wins the 2015 Women’s division. Gerry Sullivan (33:05) of White Plains finished comfortably first by just over a minute over second place finisher Virgil Bretz (34:13). Gerry is now a four time Run The Farm winner and still holds the course record, set in 2010 (30:48). 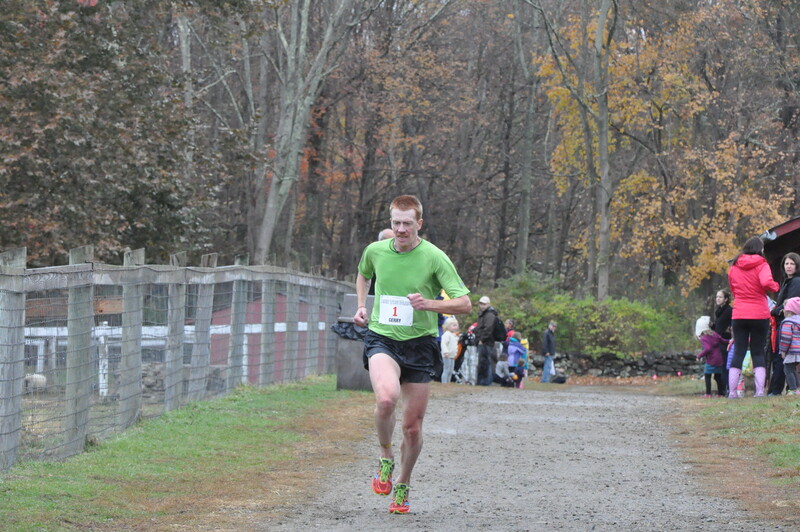 Brian Sleigh (35:39), Charles Glass (35:45), and Matthew O’Halloran (36:04) rounded out the top five male finishers. Cathrine Wolden Levin of Pound Ridge NY won the women’s division in 37:05. Lindsey Felling (38:38), Tiffany Carson (38:50), Lauren Cullen (39:13), and Kori Krichko (39:32) rounded out the top 5 women for this year. We had a huge record breaking day as many of the overall and age group records fell for the kids races. These records represent six years of kids races so they are quite hard to break at this point. We predict quite a few of today’s records will stand the test of time. 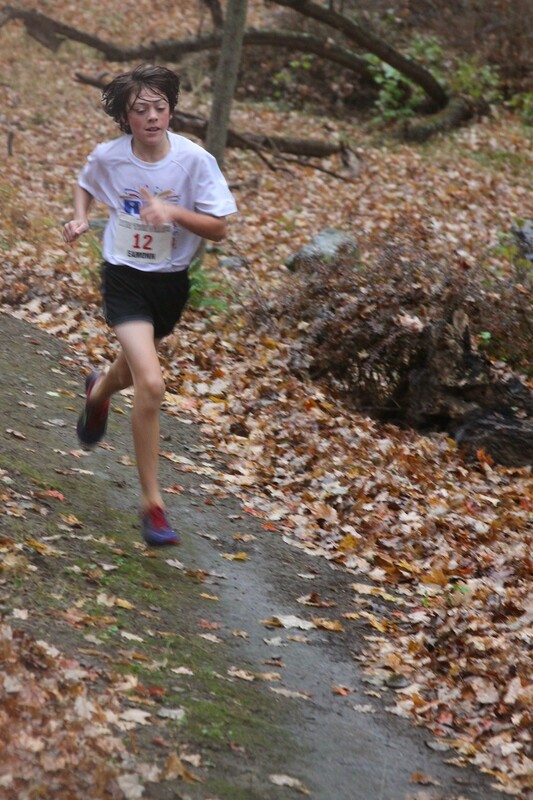 Eamonn Sullivan (6:33) won overall in the 7-12 Year Old 2K race. Eamonn shattered his old course record of 6:54 by 19 seconds for the second year in a row. Eamonn is a heck of a competitor and has represented New York State in the Junior Olympics for the past two years on the cross country team. 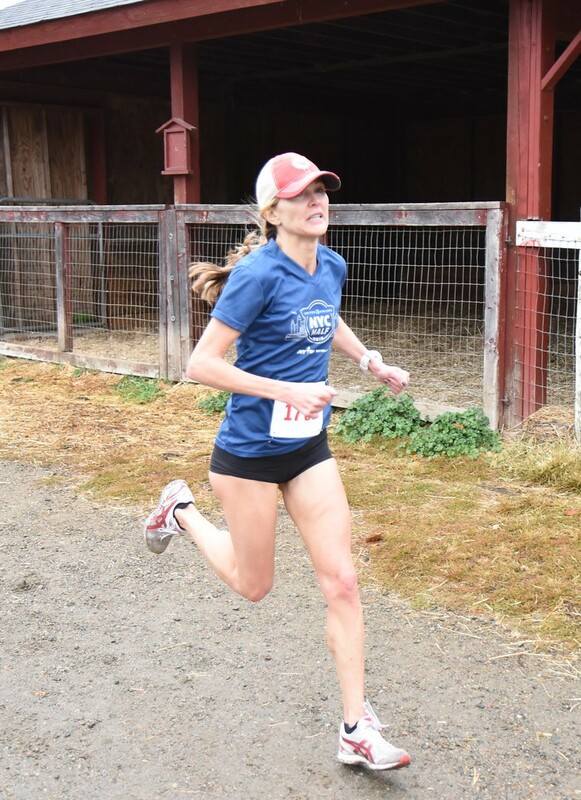 Morgan Eigel won in 2014 and repeated in 2015, setting a new course record (7:08) in the process and beating her last year winning time by nearly a minute. 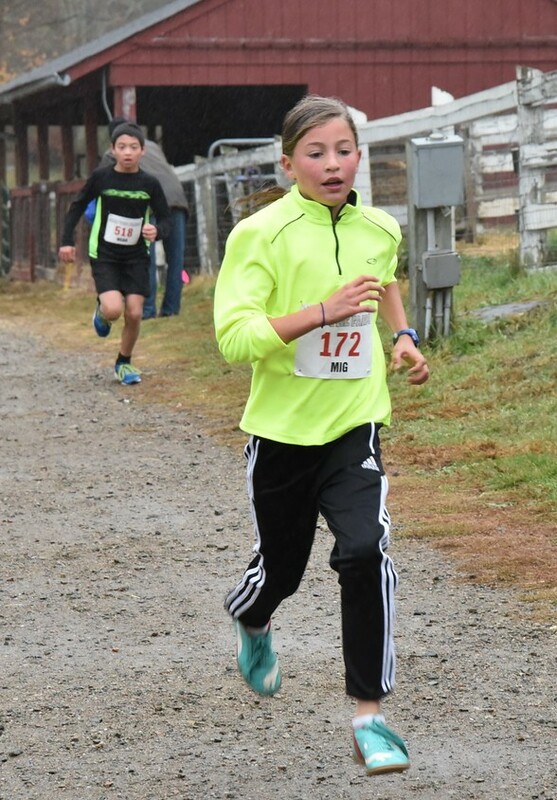 At just 10 years old, Morgan bears watching in the cross country field — we think she’s going places – FAST! Cal Farrell of Middletown NY set a new course record on his way to winning the boys 6 & under 1K division (4:32) becoming the first 6 & under runner to break the 5 minute mark for this race. Cal has been Running the Farm since he was two years old and has dominated each year of competition. One of Cal’s records (2 year old) fell today to up and comer Peter Bruschi who bears watching in the three year old category next year. Juliette Moss of Scarsdale NY won the 6 & under 1K race overall (5:34). Juliette won the 2014 5 year old title and shaved over 20 seconds off her time. She was a top finisher in 2013 as well. Next year she moves up to the 7-12 year old race – watch out! The kids set a few new age group records as well. Madelyn Drucker of Armonk set a new 2/girls record of 10:16 in the 1K, knocking out the prior record that had stood since 2011. Peter Bruschi of New Rochelle set a 2/Boys record with a 8:18 finish, beating the prior record of over 10 minutes set in 2010. Kathryn Hulme of Chappaqua sent a new 11/Girls record (7:44). Of course Eamonn Sullivan (12/boys) and Morgan Eigel (10/girls) set age group records with their new overall course records featured above. 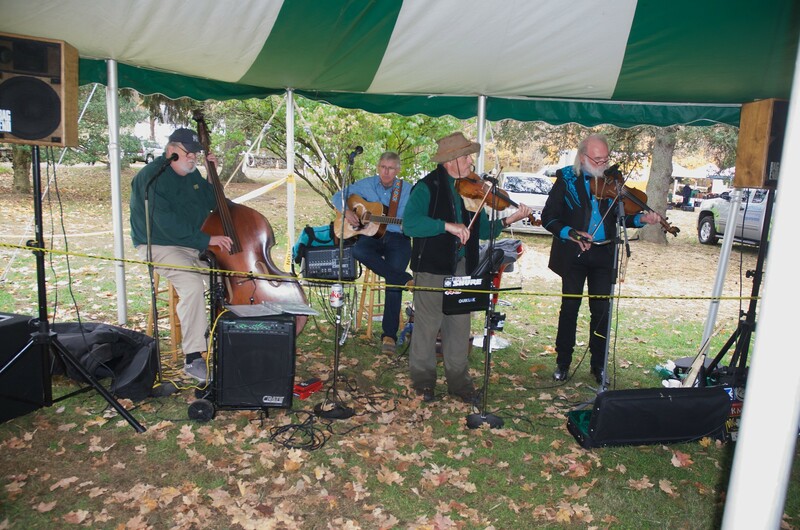 For post-race entertainment we welcomed John Lawrence and the Leathermen bluegrass band under the tent. John also made his way into the course during the race to play fiddle. He and a friend visiting from France set up a flysheet shelter to keep the fiddle dry while he played for every runner. 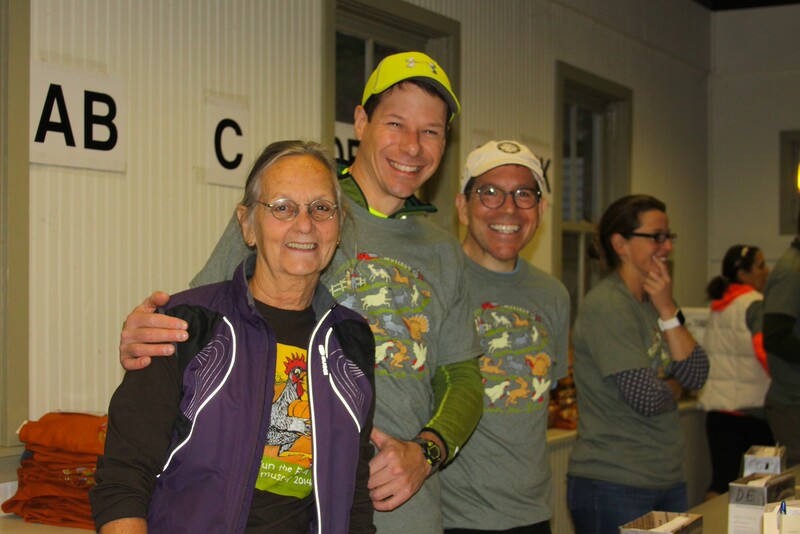 The 2015 Trail Mix Trail Series had 126 runners eligible to compete in the series continuing from Leatherman’s Loop (April), A Mild Sprain (May), Where The Pavement Ends (Sept) and the Sarah Bishop Bushwhack (Sept). Trail Mix Results to date can be found here (will be updated shortly with Run The Farm results once final results are certified). The FINAL race in the 2015 Trail Mix Series is the Raven Rocks Run on November 15th, 2015 at 9am at Ward Pound Ridge Reservation. The course starts and ends in the same spot as the Leatherman’s Loop, but heads into the high hills of the Rez. Sign up now for this challenging capstone for the 2015 Trail Mix Series. When we redeemed the farm bucks for real $ at the end of the day the Run The Farm “Farm Bucks Top 5” Champs of 2015 were 1.) Dutch Desserts, 2.) Hummingbird Ranch, 3.) Pickle Licious, 4.) Meredith’s Breads, and 5.) Do Re Me Farms. The vendors were loving the run, the runners, and the energy on Sunday! We are happy to let you know this was NOT the last farmer’s market of the 2015 season at Muscoot. The market will be open 4 more Sundays until the Sunday before Thanksgiving (11/22) and they will be back at Muscoot in May 2016. 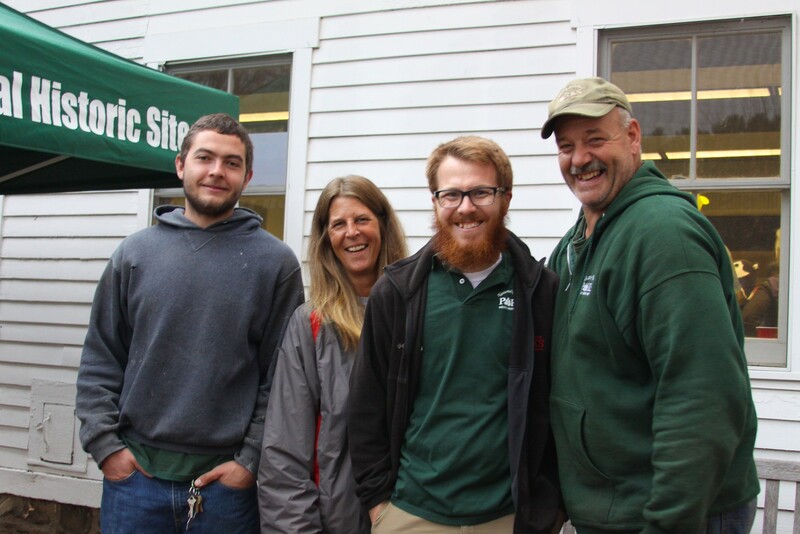 Judy, Mark, Barry, and Eleanor are some of the many volunteers for Run The Farm. An extra special thank you goes out to the Somers VFD EMS crew for going above and beyond in a deep woods extraction today on one of the most inaccessible parts of the course. The Somers EMS crew has been with us since the start of Run The Farm and is always helping and assisting runners — but this was an extra effort and they did a great job. Special thanks to our course sweep Shirley Copeland who stayed with the injured runner and contacted assistance. We also want to thank Joe Cloidt who acted as our very own “Philippides” in connecting the EMS crew and the injured runner.